Rent an apartment in Rome in the heart of the Eternal City. Welcome to Rome and to Short-term Rome Web site. 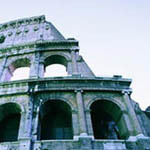 We offer fully furnished apartments in the heart of the historical center of Rome for daily, weekly, and monthly stays. Transparent: no tricks, no surprises. On Short-term Rome the vacation apartments are described with pictures, floor-plans and maps. Short-term Rentals Rome would like you to experience the comfort and the flexibility of feeling at home in Rome!